Come down to Mr. Musichead Gallery on Sunset Blvd. on Wednesday, April 23rd for an evening of amazing live music. 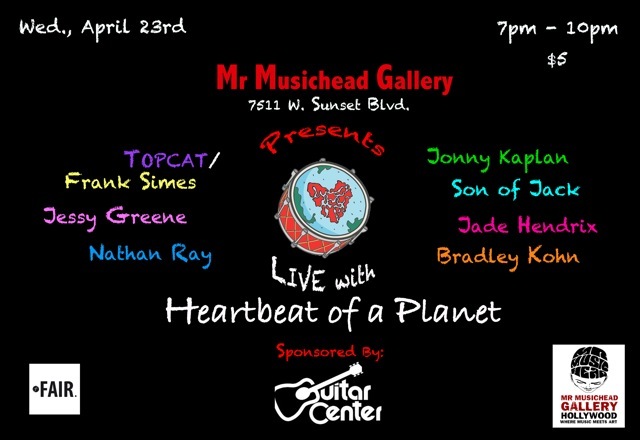 Presented by Mr. Musichead Gallery, Sponsored by Guitar Center and Fair Vodka, and Hosted by Heartbeat of a Planet! 7pm-10pm. Only $5 at the door.